Bill is the Founder of Paddock Consultancy, and most recently held the position of Global Chief Executive Officer for Apex Fund Services (from 2014 to 2016). His responsibilities included the day-to-day running of Apex globally and executing on all strategic initiatives; including expanding Apex’s global presence and product suite. Bill has over 30 years of experience in sales, management and consulting in the global investment and financial services industry, including holding operating positions throughout Asia. He was previously Managing Director and Business Executive for BNY Mellon’s asset servicing organization, and helped form their Global Financial Companies structure. He also held senior positions at PNC Global Investment Servicing, KeyCorp, Security Pacific Bank and Bank of America. Bill was a member of the ICI International Operations Advisory Committee and the ICI International Committee and was named in Global Custodian magazine’s Securities Services Hall of Fame. He currently serves on the Advisory Board of Hedgeport Associates (a C-Suite outsourcing firm for alternative investment managers), the Advisory Board of ETFEngine (a digital advice platform) and the Private Equity Advisory Board for NES Financial. 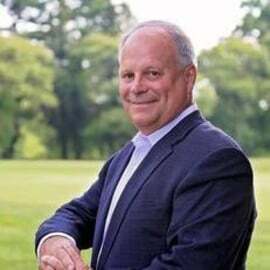 Bill also serves on the Finance Committee for the Ronald McDonald House of Wilmington, DE and is a member of the 2017 Committee of Hearts, Hedge Fund Cares.